You do have to upgrade to the Premium or E-commerce Plans to get search engine optimization (SEO) tools. However, you can alter your site meta tags, site header and footer HTML through the free plan, which is a huge bonus. Analytics are also an upgrade-only feature, but are worth investing in if you want to drive plenty of business to your site. If you’re an online store or you want to sell a few products online, you will need to upgrade to the e-commerce plan, because no shopping features are available on the other plans. Storage is a bit limited with all of the plans, and the free plan only comes with 50MB. This goes up to 10GB when you upgrade to the Premium or E-commerce Plans. However, as SiteBuilder say themselves, unless you’re going to be uploading a lot of high-resolution images or large files to your site, this won’t be an issue. 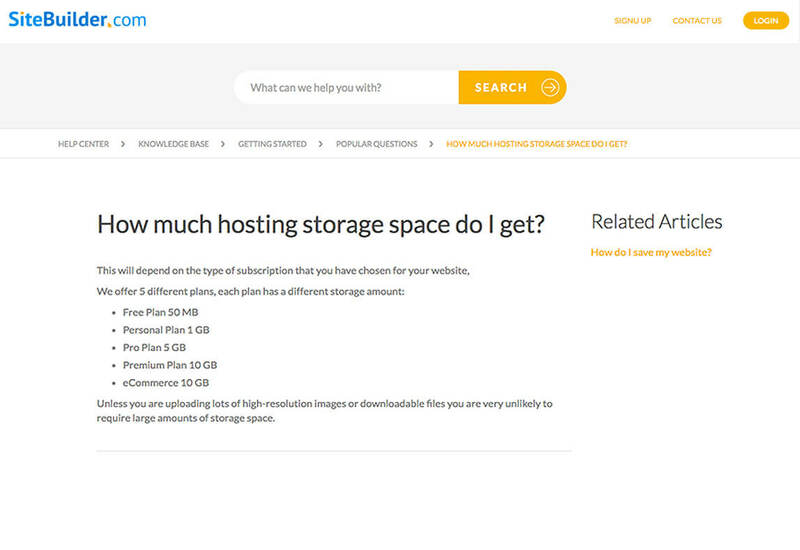 Nevertheless, for larger e-commerce stores or photographers, for example, this may be something you need to watch out for as a lot of other web builders will provide unlimited storage. Once you have waded through all of these promotional pop-ups, you will find that the pricing is very reasonable. They do regularly run promotions, such as 70% off several of the website building plans for a limited time. As of the writing of this, the pro prices are marked down to $3.84 a month with the Ecommerce being $9.22. Ad credits are also offered for free, which is a huge help when you’re trying to launch your site or online business. With over 1,000 templates to choose from at SiteBuilder, you’re sure to find something that meets your business needs. There’s also a great image library that will enable you to further customize your site with rich media.